What Are Semi-Mounted Engagement Rings? Some brides have their hearts set on a certain engagement ring style. Maybe it’s a solitaire or perhaps a band bedazzled in diamonds and starring a massive center diamond. There are some couples who purchase a ring spur of the moment when a pre-set ring catches their eye; there are other couples who take an artistic and personal approach to their engagement and opt for a custom design. The most popular choice for engagement rings, however, are semi-mounted engagement rings. So What Are Semi-Mounted Engagement Rings? While preset engagement rings are completely finished rings (center stone and all), semi-mounted engagement rings are the bridge between designer and custom rings: the ring and settings are fully designed, but couples can customize the center stone to match their style and budget. Semi-mounted engagement rings are available in different metal hues and can vary greatly in price. Some styles include intricate details and lots of diamonds, while others offer a simple solitaire setting. Gemstone halos, side stones and bezel settings are just a few of the popular semi-mounted engagement rings that couples choose to customize with their choice of a center stone. For couples with a higher budget, designer semi-mounted rings, in the Parade line, merge custom details influenced by nature with the accessible ease of a preset base design. Why Choose A Semi-Mounted Setting? Buyers get to choose the ‘star’ of their ring—the center stone—when they select semi-mounted engagement rings. 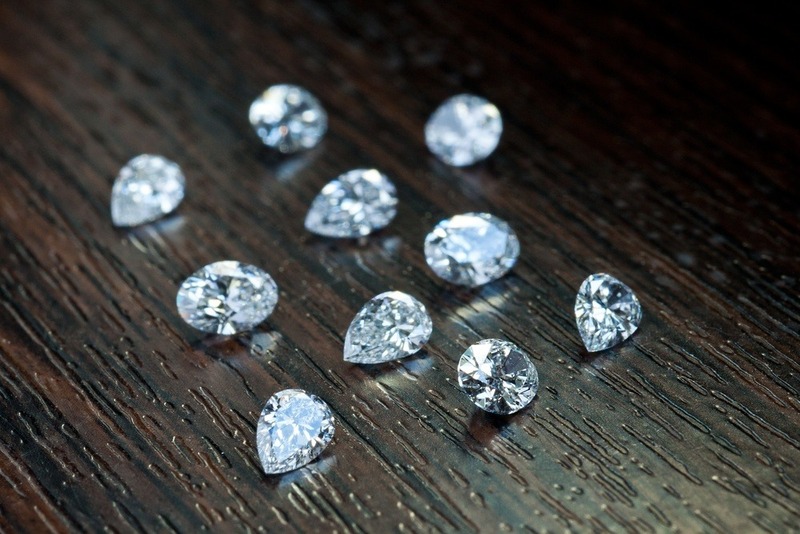 As the center stone is almost always the most expensive detail in the engagement ring, this gives the buyer the flexibility to choose their center stone, which also allows for greater control over the ring’s cost and personality. Want a vintage engagement ring with a modern twist? Then choose an antique semi-mounted ring with a contemporary princess cut diamond! Or maybe you want a ring with extra colorful bling—you can choose a gemstone-studded ring with a smaller diamond to mitigate the cost. In this way, you can get a “custom” look for much less than an actual custom-designed ring. This flexibility is one of the biggest benefits of a semi-mounted setting. A simple solitaire setting could be set with a small pear diamond, a large Emerald shaped diamond, or even a ruby—there are so many ways to put your own spin on the “same” engagement ring! However, some semi-mounted designs are limited in the center stone shapes that buyers may select. Certain settings might not accommodate fancy shapes like a heart, marquise or pear. If your heart is set on a fancy shape, then you may need to explore different designs to find a setting that works with your center stone design. When selecting a center stone for their ring, couples can peruse thousands of loose diamonds to discover their ideal centerpiece. 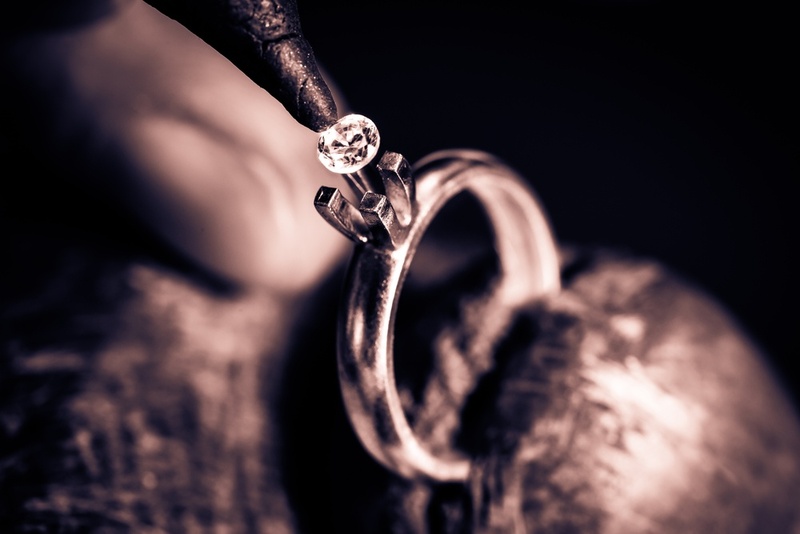 Since a semi-mounted ring isn’t preset with a stone selected by the jeweler, buyers can take their time to research the diamond or gem that they want for their engagement ring. Not only do couples have control over the cost and style of the ring, but they also control the quality of the diamond—because they choose it! Buyers who select semi-mounted engagement rings also don’t have to commit to a lengthy design process, because the ring’s overall look is complete. The selection of semi-mounted settings includes many different price points and designs; couples can browse the stock collections to discover a look that suits their budget as well as their personal style. 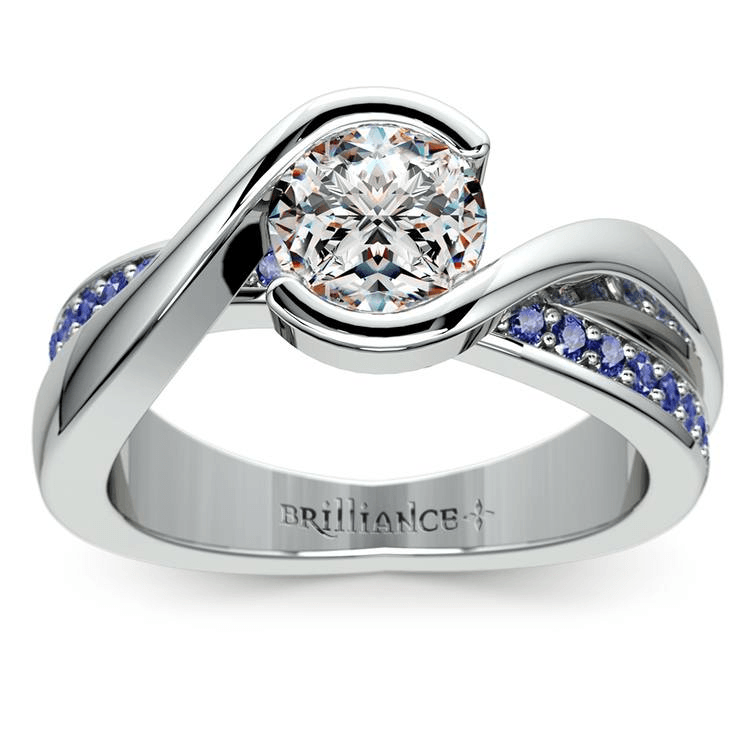 Semi-mounted engagement ring designs combine the appeal of a custom design with the ease of a preset ring. While the setting is already styled, buyers choose their perfect center stone and the quality of that stone. Semi-mounted engagement rings simplify the buying process for couples and allow them to choose the final style and cost of their ring. Semi-mounted engagement rings are the perfect marriage between custom and ready-to-wear!